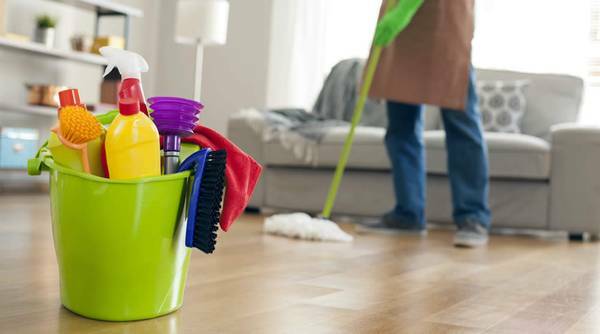 Judith's Cleaning offers full house Cleaning Services at the time that you prefer. We are taking customers everyday at any moment, so if you need cleaning services ASAP don't hesitate to call or text for a free estimate! You will be comfortable with us because we are honest and sincere workers, and our goal is to satisfy our customers. • Weekly or biweekly home/apt/condo/office cleaning. • Move out/move in cleanings. Many companies that charge by the hour will waist your time, money, and won't even finish the job. We're professionals and won't waste your precious time, for we work really hard until the job is done (not until a period of time). You'll find your home clean and shine after each visit. Unlike most companies we make personally the estimates and do the job as well, so you won't have to worry about strangers at home. Give us a try and you'll see the difference. Even though we have our own cleaning products and equipment, we'll be glad to work with yours if you prefer it.